You're currently viewing a custom sorting. 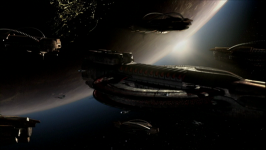 - Scorpius' command carrier would not be visible from the surface like it was when John's and Aeryn's first attempt at a wedding was interrupted. 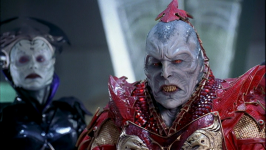 - The Farscape series was canceled late in season four and unfortunately the producers were not able to wrap up the plot by the end of the season so it ended quite infuriatingly on Bad Timing's cliffhanger. 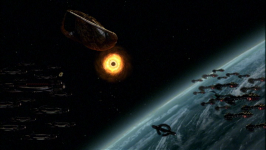 The series was not wrapped up until over a year later with the broadcast of this film which was only greenlit in large part due to massive fan outrage at the abrupt cancellation of Farscape. - Among the many unexplained visual and audio changes in the main characters since season four, the most remarkable is Pilot's voice. At times he sounds more like Crais than Pilot. - Sandy Gore, who plays Muoma in this episode, also played Vreena in Prayer and We're So Screwed Part I: Fetal Attraction. - The Peacekeeper and Scarran fleets going at it in the opening scenes. 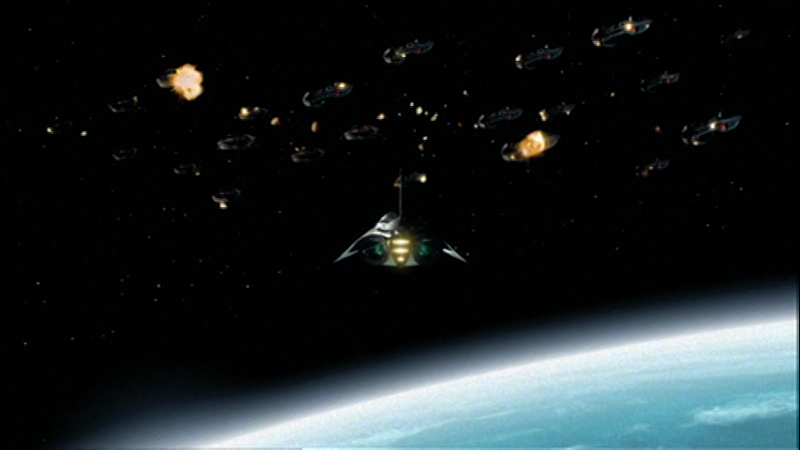 - The Scarrans declaring war on the Peacekeepers because of Scorpius' preemptive attack. 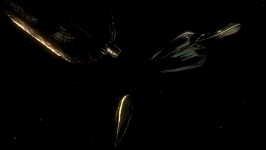 - Moya's crew reassembling John and Aeryn. - Scorpius sensing that John Crichton is alive. - John telling his story to the aliens who shot him to bits. 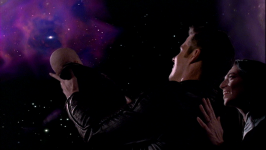 - Aeryn's baby accidentally being transferred into Rygel. - Chiana regarding the locals: "So what's their problem then?" Stark: "Fear, abject fear." Noranti: "Of what?" Stark: "Their fear extends to the point of not talking about their fear." 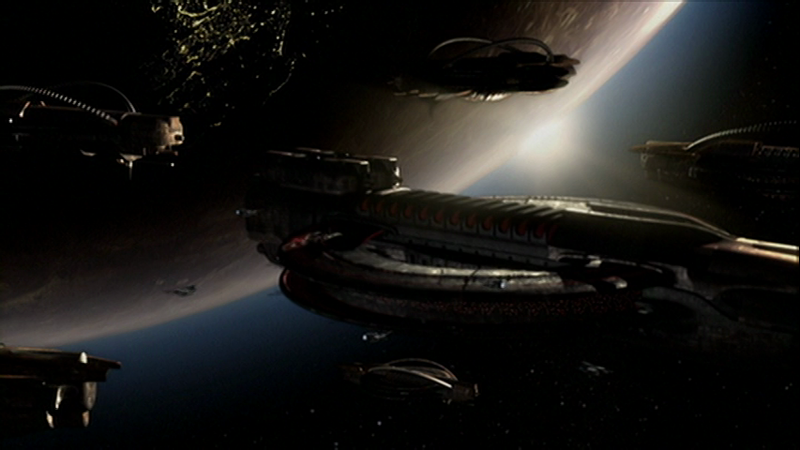 - John's and Aeryn's wedding being interrupted by the arrival of a command carrier. - Noranti realizing the aliens on the water planet are Eidolons. - Scorpius confronting John and revealing that he is in communication with Harvey. 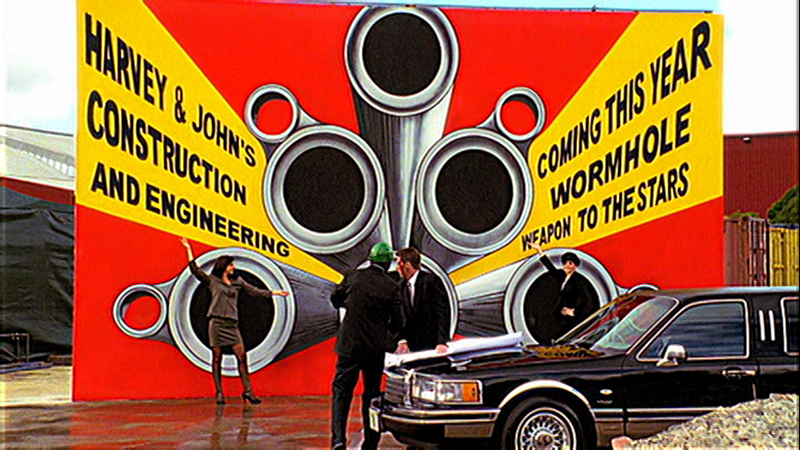 - John: "As long as there's a war on everyone's after me because I'm the winner take all weapon guy." 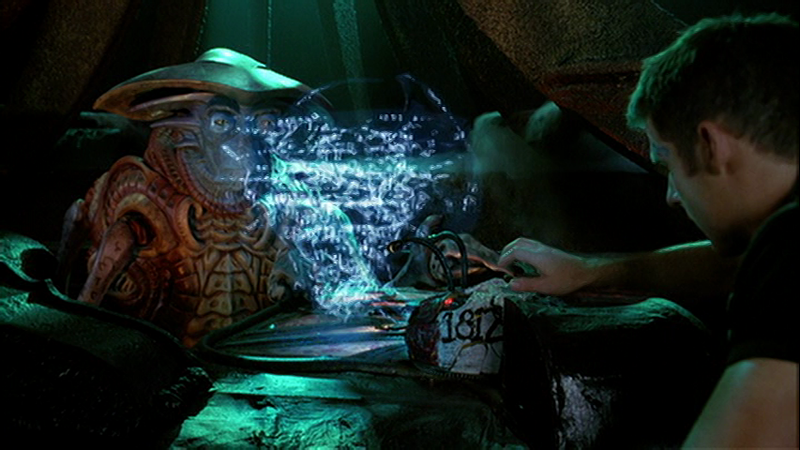 - Rygel receiving a message from his cousin who deposed him begging him to return to Hyneria to help him unite them against a Scarran attack on their territory. - Rygel, pregnant with John's and Aeryn's child, performing a wedding ceremony aboard Moya for them only to see it interrupted again this time by an attack by mercenaries. 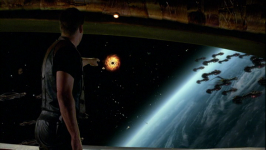 - Moya starbursting away from the mercenaries while being shot at. 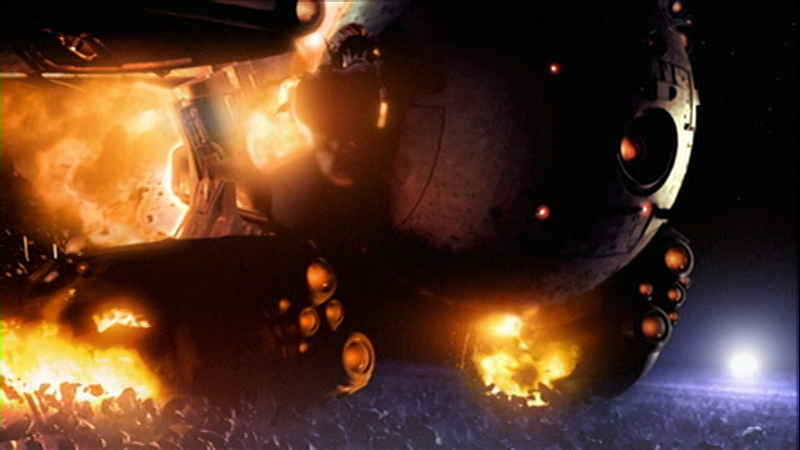 - John stumbling on Jool on the Eidolon planet. - Aeryn revealing that the baby will be fully gestated within a matter of days, due to the accelerated nature of Peacekeeper pregnancies. - The Scarrans nuking the Eidolons' temple and Jool along with them. - Moya attempting to starburst and the Scarrans disabling Moya. - The head Eidolon priest revealing that his people originally created the Peacekeepers to compliment their mediation abilities and that the ancestors of the Peacekeepers were humans from tens of thousands of years ago taken from Earth. - Ahkna firing on D'Argo's cloaked ship, destroying it. - John taking Staleek to Einstein. - Chiana and D'Argo directly exposed to space. - The Eidolon priest beginning to tame the Scarran. - Grayza assassinating the Peacekeeper chancellor. - Jothee rescuing D'Argo and Chiana. - Ahkna taking out the Eidolon priest. - Rygel requiring an emergency transfer of the baby to Aeryn whilst the Scarrans start gassing their jail cell. We couldn't get a season five, but we got the next best thing: season five compressed into a three hour, two part miniseries. 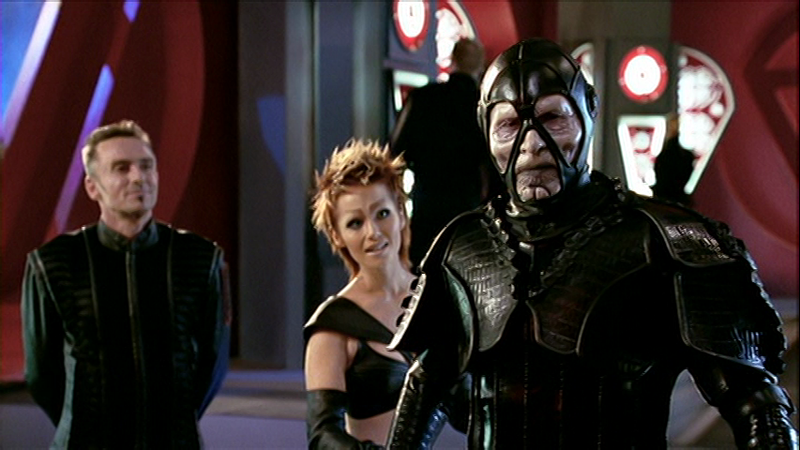 In many respects the first half of the miniseries is the first eleven episodes of Farscape season five compressed into an hour and a half by cutting down on less-than-essential plot threads and excising the filler. You can almost see the points where roughly every ten minutes of this story constitutes enough plot to have filled an episode in a hypothetical expanded version of this story spread across half a season with some filler used to pad it out. There are numerous signs that this story was originally intended to be spread out over a longer period of time, as there are enough events in a few days worth of story time here to fill up a whole year. 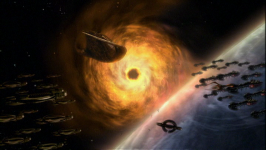 Likewise, Aeryn's pregnancy has been accelerated into a few days as well. 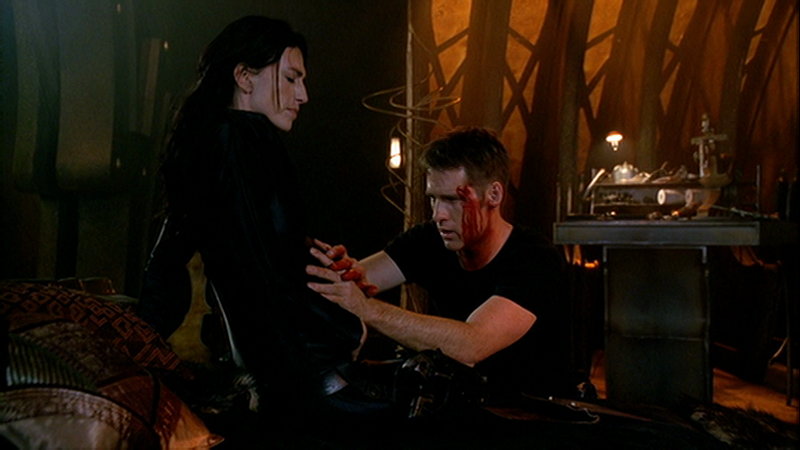 Imagine Rygel being pregnant with Aeryn's child for the first quarter of season five instead! In compressing so much material into such a short amount of screen time, we lose a lot of potential for texture, but at the same time we gain a great deal of intense pacing. They did leave some of the filler in though. 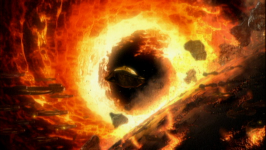 That whole sidebar with the mercenaries attacking Moya struck me as a filler episode compressed into ten minutes. Without a doubt the outbreak of war between the Peacekeepers and the Scarrans couldn't have been depicted in a more suitably epic fashion. 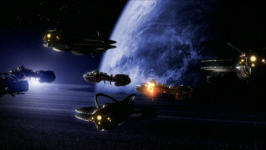 Fleets of command carriers and dreadnoughts going at it, internal political strife on both sides, and John and his friends caught in the middle. It's simply spectacular stuff. On top of that we finally have an answer as to why the Sebacean race looks exactly like humans: they are humans! Humans from tens of thousands of years ago taken from Earth and their genetics messed with by the Eidolons in order to create the original Peacekeeper army. The Eidolons were surprisingly not as annoying as I had expected. Right when the scene where Staleek is being tamed by the head Eidolon priest was reaching its maximum levels of annoying absurdity, trusty old Ahkna comes in and takes the guy out. I let out a sigh of relief that such an incredibly intense war story wouldn't anticlimactically fizzle out due to some overwrought science fiction telepathic calming plot device. The only thing that bothered me about the Scarrans was there wasn't any mention of their ongoing quest to procure more Strelitzia flowers. You'd think that would have been brought up by now. 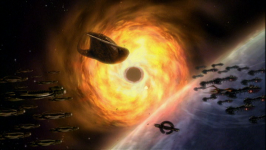 As for the Peacekeepers, I'm glad the plot was contorted in such a way that both Grayza and Scorpius control separate and distinct factions within the Peacekeeper army. 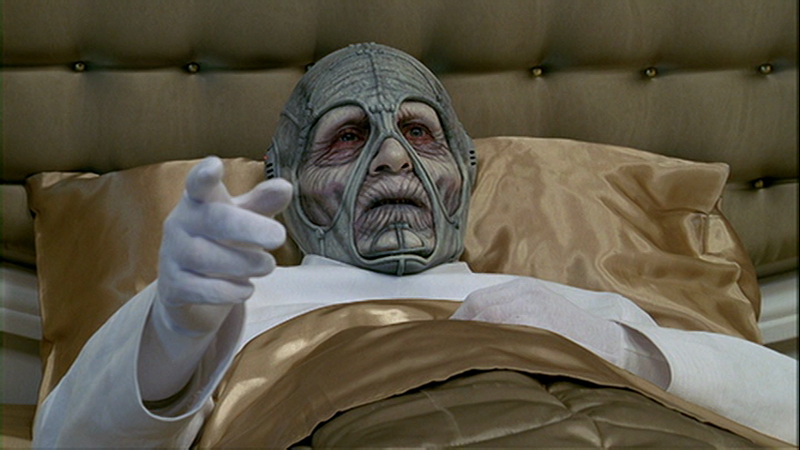 Grayza assassinating the chancellor whilst being pregnant with his child was certainly a bold and sinister move. It's scary to think she might now ascend to ruling the entire Peacekeeper army. As for Scorpius, I enjoyed how he regarded the Eidolons. Yes, he considered them irrelevant just like the Scarrans did, but unlike the Scarrans, Scorpius has no desire to wipe them out. That makes old Scorpy boy more sympathetic in my book. 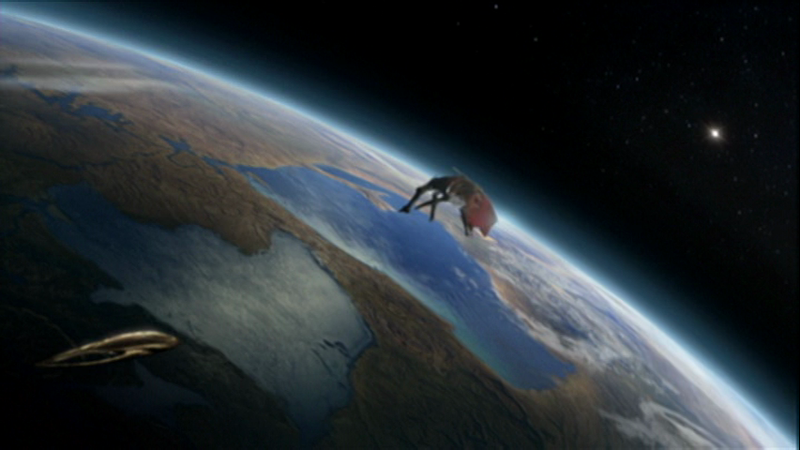 The cliffhanger was skillfully framed. 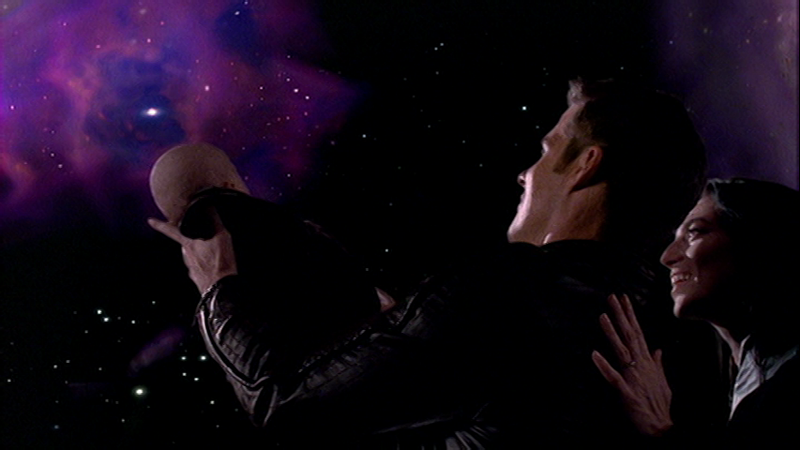 While it's obvious the main cast isn't going to be killed off in the Scarran jail cell gas chamber, pairing their imminent deaths with Rygel's little medical emergency of needing to transfer the baby to Aeryn immediately was a nice touch. It ratchets up the suspense above the level of a simple cookie cutter cliffhanger. What seals the deal beyond all this is fantastic cameos like Jothee and Jool. Killing off Jool in this manner was a nice touch and really helped to set the stakes. 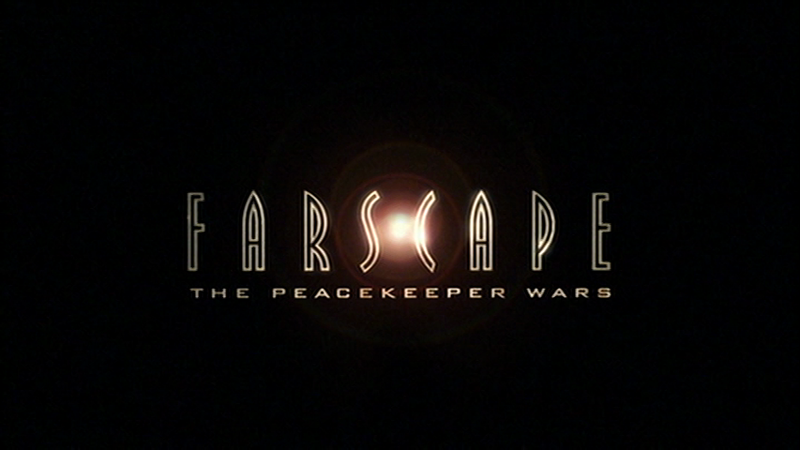 Overall the first half of The Peacekeeper Wars is outstanding.